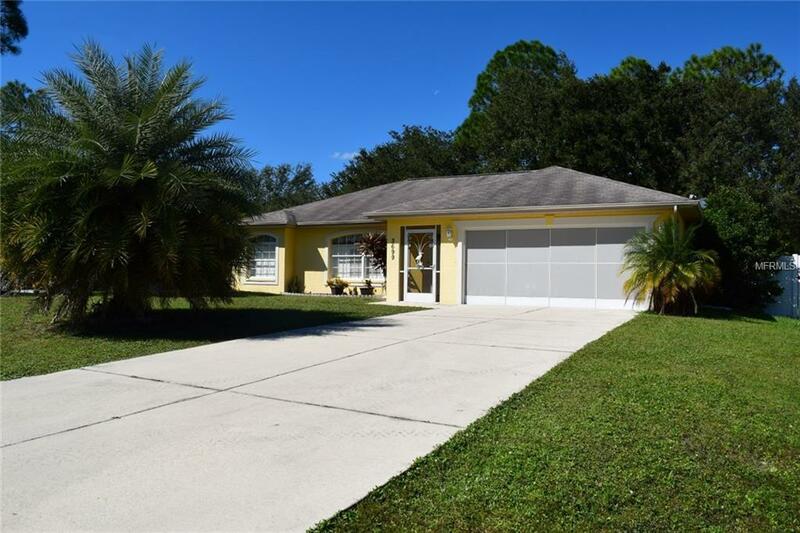 This very well cared for pool home on city water with a fenced and private backyard won't last long. It has 3 bedrooms, 2 bathrooms and a 2 car garage. Carpet & tile throughout the home. The pool is a salt water caged pool with solar heat. There are mature trees and a storage shed in the private, white vinyl fenced backyard. The garage has a screened door too. Listing provided courtesy of Paradise Realty Of Sarasota.